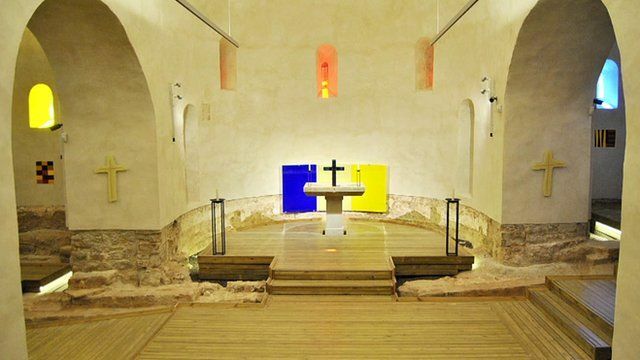 The chapel full of Sean Scully art Jump to media player Artist Sean Scully has filled a chapel near Barcelona with his abstracts, sculptures and frescoes. Slides and sky-high rides at Hayward gallery Jump to media player Artist Carsten Holler's latest exhibition allows visitors to be part of the show, as Will Gompertz finds out. The Irish-American painter Sean Scully, has become one of the biggest names in the contemporary international art world. His works command prices of more than $1m and are displayed in galleries all over the world. Scully, now 70, has just completed a labour of love - installing his abstracts, sculptures and frescoes in a small chapel in the Montserrat hills overlooking the city of Barcelona.